Majora's Mask Remake is "Really up to Fans"
Nintendo producer Eiji Aonuma is burdened with one of the hardest jobs in the video game industry: constantly looking for ways to improve on his famed series The Legend of Zelda. Recently, he has begun hinting at his weariness with the series, even to the point of growing a little cynical of its future and its fans. In an interview with IGN, Aonuma let this cynicism out a little bit by laughing at a question aimed at a potential Majora's Mask remake. "Please write that I laughed. Don't make it sound like I laughed because I was troubled or inconvenienced or put out. I don't want them to read anything into it. But if you want to say that I laughed, I think that would be a good answer." However, he further pursued the point that he laughed, indicating that it does not confirm a yes or a no in any way. "It's really up to [fans]. If they want to interpret my laughter as, 'yeah, we're making it' or 'no, we're not,' I guess that's really up to them"
So, Aonuma merely laughing at a question is enough to spark speculations amongst fans. 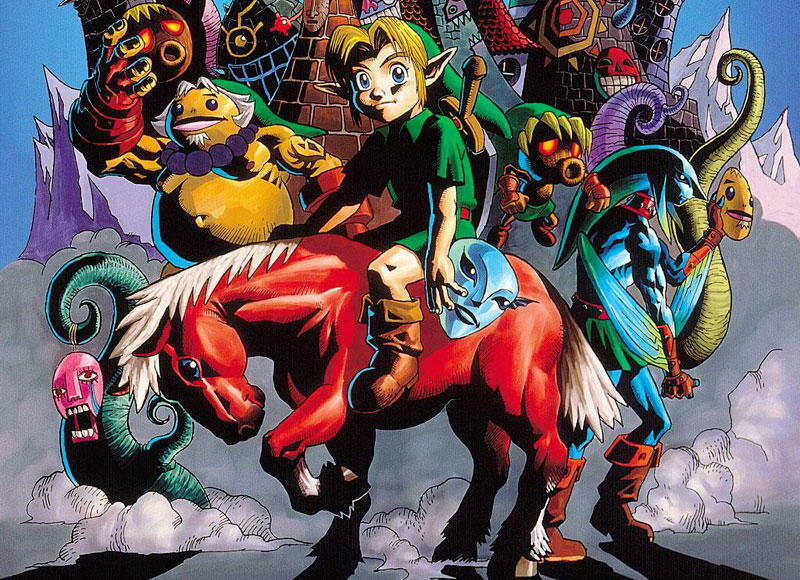 Would you like to see a remake of Majora's Mask on the Nintendo 3DS? The Nintendo fan inside of me wants to say "of course," but I'm actually going to hold out and say "no" on this one, and I'll tell you why. Aonuma has had little outbursts like this more frequently over the years, and I can't blame him for becoming a little jaded by The Legend of Zelda. His entire career has been essentially retelling the same stories using the same dungeon system and familiar characters, and he has admitted that all of his original ideas for new games wind up in Zelda games anyway. In recent years he has overseen the remakes of two of his classics, The Ocarina of Time and The Wind Waker. Not to mention, his latest game takes gamers back into the exact same world found in A Link to the Past, and the only source of originality he can grasp is thinking about a brand new HD The Legend of Zelda Wii U. It's like George Lucas being weighed down by Star Wars his entire career. Aonuma is responsible for many of the greatest games ever made, yet he has only created one game outside of Zelda called Marvelous: Another Treasure Island. The cute little adventure game landed him a job on the Zelda team, so it must have impressed the big guys at Nintendo. Let's see if that creativity could flow in another new franchise. No man in video gaming deserves a break more than Aonuma, so how about giving him a little space after wrapping up Zelda Wii U and letting him try something new? Of course, only if that is something he wants, and I doubt he would ever give up the chair to anybody else.